This book has become a collector’s item. 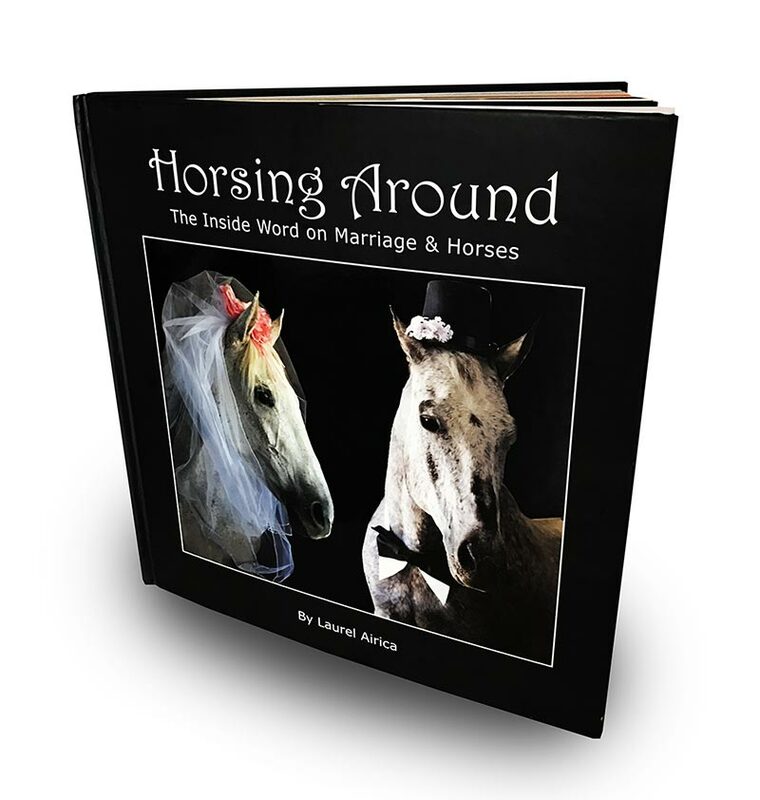 It is a 10×10 coffee table book rich with illustrations that enhance the narration about the words in common between marriage and horses. There is only a limited number left. Purchasing from this page brings a personally autographed copy of this book. Each costs $50 (plus tax & postage). Still, you may be surprised to see to what degree we continue to equate our most intimate relationship with our equine companions. Horsing Around unveils the connection between marriage and horses. It offers tantalizing food-for-thought for everyone who enjoys horseplay and wordplay – but especially for those who will soon be stepping up to the altar to alter their lives forever. According to a recent Gallop Poll, couples who are hot to trot down the bridal path would do well to rein in their fanciful notions of marriage as one long, blissful roll in the hay. Those who stay hitched for the long haul are the ones who are ready – right at the starting gate – to jump every hurdle in tandem and to clear all the obstacles life brings their way.